Please join us for an evening of conversation and conviviality with Kim Stanley Robinson and fellow speculative fiction fans and writers. Enjoy specially selected wines and a generous spread of comfort food at one of the most spectacular homes in Seattle. The highlight of the evening will include a lively discussion led by Greg Bear and Nisi Shawl. Space is limited to 30 guests—reserve your place today! 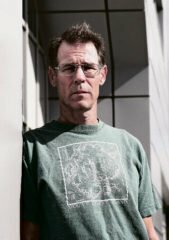 Kim Stanley Robinson is best known for his books which explore the farthest reaches of science and focus on ecological and social issues. He has won Hugo Awards for Green Mars (1994) and Blue Mars (1997); Nebula Awards for Red Mars (1993), 2312 (2012), and The Blind Geometer (1986); the World Fantasy Award for Black Air (1983); a John W. Campbell Memorial Award for Pacific Edge (1991); and Locus Awards for The Wild Shore (1985), A Short, Sharp Shock (1991), Green Mars (1994), Blue Mars (1997), The Martians (2000), and The Years of Rice and Salt (2003). Most of your ticket purchase is tax deductible to the extent allowed by law and will help Clarion West continue to bring award-winning writers to Seattle to teach our students — writers like Neil Gaiman, Connie Willis, George R.R. Martin, Samuel R. Delany, Kelly Link, Cory Doctorow, Nalo Hopkinson, and Elizabeth Hand. Location: Seattle’s Queen Anne neighborhood. Tickets for this benefit event are $150. Space is limited. Bringing guests? Please list their names in the PayPal special instructions field.